So you traveled all the way to Destin, Florida for the sun and the sand, but all you're left with is pouring rain. Vacation ruined, right? WRONG! Destin vacationers now have plenty of rainy day activities to choose from. Marine Parks, Arcades, Magic Shows, and more exciting Destin indoor activities will leave visitors wishing for more cloudy days ahead! Young or old, adventurous or laid-back, check out the following All-Ages Things To Do in Destin When It's Raining! Spend an afternoon encountering exotic marine life from around the world, and enjoying live dolphin demonstrations from some of the world's finest trainers! Gulfarium Marine Adventure Park on Okaloosa Island is open rain or shine, with plenty of covered areas keeping guests dry while exploring different exhibits. As far as rainy day activities go, the Gulfarium is one of the most entertaining in the Destin area. For the best price on Gulfarium Marine Adventure Park Tickets including promo codes and group discounts, visit Gulfarium Marine Adventure Park Admission Tickets online! Sometimes the best remedy for a stress-building rainy vacation day, is a tension-releasing massage; and what better place to soothe your muscles than the comfort of your hotel room! Mobile Massage Therapy brings the healing art directly to your doorstep. Choose from 8 services including the deep tissue massage and hot stone therapy! All masseuses are licensed and insured with years of experience that work in your favor! For more information on pricing and packages visit Destin Mobile Massage Therapy online. Little known fact, the Emerald Coast is home to some of the top magicians in the world! The love of the beach has drawn top performers to the Destin area including well-known entertainers Keith Urban, Britney Spears, and Emeril Lagasse, and the tradition continues with magicians Noah and Heather Wells. Noah and Heather Wells run their award-winning show in the beautiful harbor, which implements comedy, special effects, and mentalism to amaze crowds of all-ages. The Wells' show is incredibly entertaining, making for one of the top rainy day activities in Destin, Florida! MAXIMUM Magic runs year round including weekly shows in spring and summer, and all of the major holidays. Get your discount tickets to MAXIMUM Magic online at MAXIMUM Magic Theater! During cold weather months in Destin, Florida, thousands of visitors flock to the small beach town for premier shopping. Even with warm temperatures, guests can take advantage of these shopping hot spots during rainy days and nights! Silver Sands Outlet Mall in Miramar Beach boasts over 90 retail shops and restaurants, and with the Village of Baytowne Wharf and the growing Grand Boulevard just minutes away, shoppers will have no problems finding the clothing, accessories, decor, and technology they're looking for! In the heart of Destin, just across the Mid-Bay Bridge, lies the recently expanded Destin Commons. 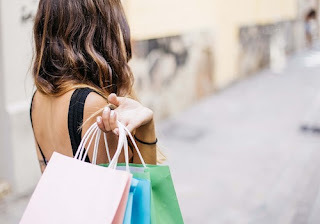 Family fun shops like Bass Pro Shop, Build-A-Bear Workshop, Book A Millions, and Brookstone make up just a portion of the dozens of retail outlets and designer boutiques selling wares in Destin Commons. Who doesn't love the movies? And with 2 premier movie theaters in the Destin area, it's no surprise a trip to the movies is one of my personal favorite indoor things to do in Destin, Florida! The AMC recently took over the deluxe cinema in the heart of the Destin Commons. With an on-site bar, plethora of concession stand foods, and well-kept theaters with IMAX and 3D options, the AMC is the top choice for many Destin visitors. But a second high-quality theater is located just minutes away in Santa Rosa Beach. 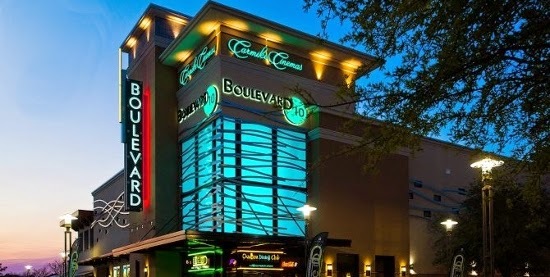 The Carmike Boulevard 10 offers premium theater viewing, with an optional dinner theater for hungry movie patrons. One of my personal favorite Destin indoor activities has to be the sport of bowling! Between the longstanding Hurricane Lanes and the brand new Uncle Bucks Bowling Alley in Destin Commons, Destin is certainly not short on places to "get your roll on". Look out for seasonal and daily specials to save on lane usage and shoe rentals, and on-site bars and restaurants at either location keep the whole group happy! Stop in to Destin's newest arcade with a state-of-the-art indoor facility offering 80+ arcade games! 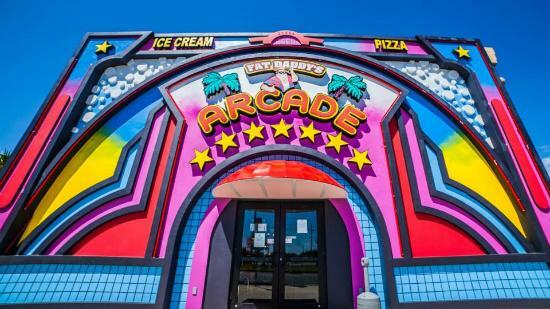 Fat Daddy's Arcade games are known to award more tickets, more often than your typical neighborhood arcade, and with neighboring Fudpucker's Beachside Bar & Grill, and Gameday Pizza, your gaming fuel is covered! Take home top-shelf prizes like Playstation 4, XBOX One, and Coach Purses, along with lasting memories of one of the top indoor things to do in Destin, Florida at Fat Daddy's Arcade!